A cutting-edge invention that could replace your smartphone with an electronic display laminated to the back of the hand, the New Ultrathin E-Skins are the stuff that nightmarish sci-fi dreams are made of. 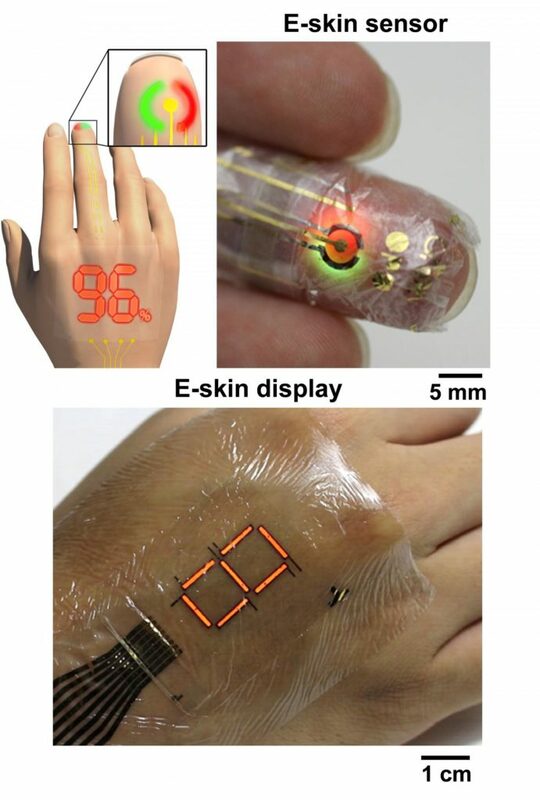 For the first time ever, Japanese scientists have demonstrated a highly flexible electronic skin display that is made from organic electronics and does not degrade when it is exposed to air. A revolutionary invention in terms of the world of cellular technology, the creation of this E-skin will pave the way for an array of wearable devices to be created in the near future. Much lighter and flexible than other electronics made from inorganic materials, the new Ultrathin E-skins mark the beginning of a new, forward-thinking age of electronics.